18 albums in and Australia’s trio, ‘The Necks’, show no sign of letting up for the foreseeable future. ‘Vertigo’ is (no surprise) one long track that touches on 44 minutes in length and is the epitome of what these guys do best; which is capitalising on the formula that has given them such longevity. 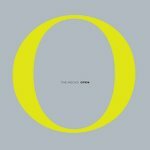 Darker in tone than previous album, ‘Open’, this is no less intricate and improvised; but has a sense of immediacy which their last output lacked. Tension is the dish of the day, as ominous bass overdrives collide with percussive clatters and crashes, alongside melancholic piano. What makes this latest opus work is a parallel of sounds that travel side by side, as if in lanes of a motorway yet heading to separate locations. Each lane leads to its own individual outcome, yet both travellers will forever be intrinsically linked. The Necks will not be for everyone; but they don’t have to be. Sitting down to one of their albums is always going to be an enduring journey, but this time out its one I thoroughly enjoyed from start to finish, such is the atmosphere they have created. Fans of Drone, Dark Ambient, Krautrock and experimental Jazz will gain a lot from this release; but there is even something for those that like their music that touch more stable, as this latest album feels grounded and cohesive. I was distraught upon the realisation that this album by this long-standing Australian act comprises of one long track, clocking in at just over 68 minutes; and ever more so dismayed at the press release promoting the fact that The Necks are freeform Jazz improvisation. My initial thoughts were however misguided; The Necks do sit comfortably under the umbrella that I mentioned, just with a little more class than I expected. Aside from the irritating jangling bells, sits a wonderfully accomplished essence of structure, warm club double bass and subtle piano lines that meld into a warm ambience. There was little need in my mind to release this as one long track. As this is pure improvisation, there are gaps of silence along the way and these should have been utilised. There are moments of genuine beauty on this album that remind me of wet summer afternoons and provide a foundation to contemplate many an action in my life; and I would like to revisit these areas from time to time without having to fast forward through the CD to get to them. That said, if you have an hour or so to kill and require a soundtrack to doing little or nothing, whilst watching dusk arrive with a drink in your hand, then ‘Open’ could be the noise of choice to accompany you along the transition to nightfall.